The popular Touro Synagogue is the oldest in the USA while the Redwood Library and Athenaeum is the oldest lending library in the country, founded in 1747. 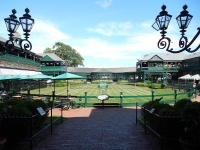 The International Tennis Hall of Fame also makes for a great visit, displaying both the history of the sport and outstanding architecture. 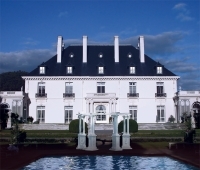 The opulent and grandiose Newport Mansions from the colonial era are at the top of most visitors' lists. 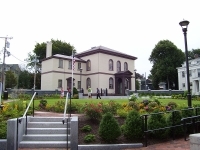 History buffs will also appreciate the Museum of Newport History, known for giving unmatched insight into the city as it was and as it is today. Of course, Newport includes a long stretch of shoreline which invites travellers to do more leisurely things like picnic, yacht, and swim. Also home to some top notch restaurants, Newport will leave no foodie disappointed. We are looking for contributors for our Newport travel guide. If you are a local, a regular traveller to Newport or a travel professional with time to contribute and answer occasional forum questions, please contact us.